Here’s a nice look at what it like in Montana. Beautiful country. The Hunt from Dan Oles on Vimeo. A great look at wintertime pheasants in South Dakota…. Check it out — winter pheasants in South Dakota. Great dogs wood, great birds. And its all on public land. 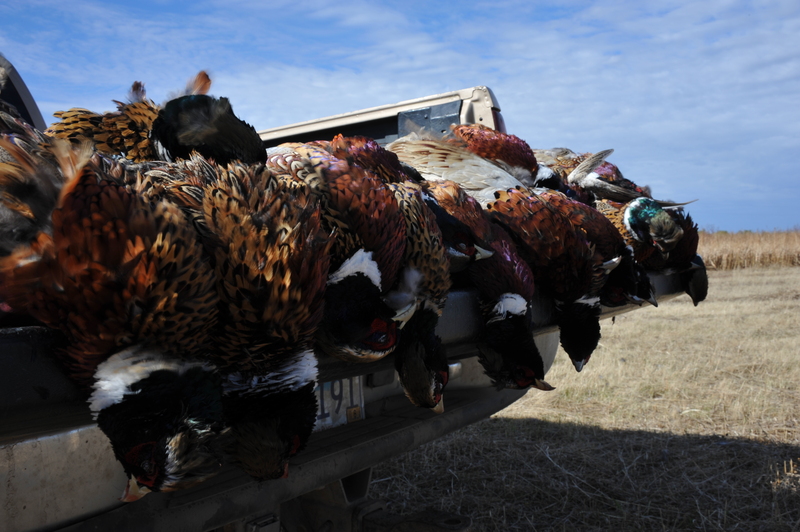 South Dakota’s 2012 pheasant hunting season starts tomorrow, noon. I’m sure folks are going bird crazy just thinking about it. I’ve hunted SD’s opener a handful of times. For me, the day always meant lots of birds, lots of shooting and experiences I’ll always remember (and the night meant lots of drinking). Regardless of how thing went, getting together with my brother and his folks & family was always the best part of the trip. Read all of this post here. 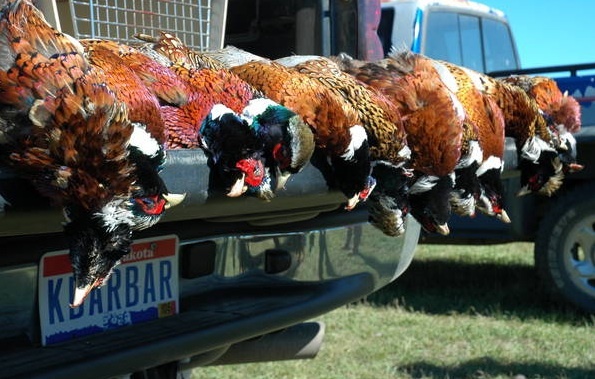 South Dakota’s 2012 pheasant season opens on Saturday, Oct. 20 – less than 2 weeks away. That means scenes like the ones in this video are right around the corner. I hope you’re one of the lucky folks who gets to experience it. Good shooting. South Dakota’s 2012 Pheasant Opener is about 140 days away. Here’s a little teaser of what it might be like, courtesy of Bird Hunting America. Are you heading out the Dakotas this year? Just when I’m heading back to South Dakota for the season opener…. PIERRE, S.D. – Pheasant brood counts indicate that pheasant numbers in South Dakota have returned to levels below the remarkable high counts of the past few years. However, the pheasant population in the main part of the state’s pheasant range will still provide quality hunting opportunities. Declines in the counts were consistent across the state and most pronounced in eastern South Dakota, where winter’s grip was tightest and grassland nesting habitat is diminished…. Water – it seems like some parts of the western US can’t get enough of it and other parts are flooded under it. Unfortunately, a couple of the areas with too much water this spring are also big bird hunting regions. Northeast Montana and North Dakota have had a ton of cold, wet weather lately. This isn’t good for the wild bird population. Spring is nesting season and weather like this makes it pretty much impossible to do. No nest, no eggs, no chicks, and far, far fewer birds come fall. You can read more about the area impacted by going here. Here’s a nice video of some English Pointers working pheasants. It looks like the birds are running. The dogs handle the birds well. I love that Montana cover, and I miss it. I wish I could make it out there this fall. Enjoy.